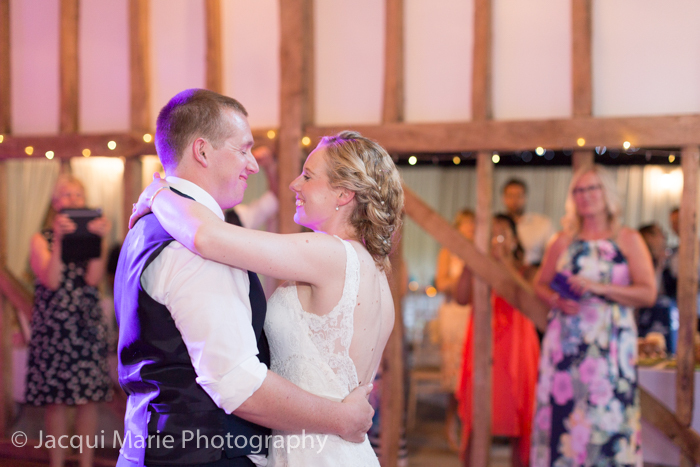 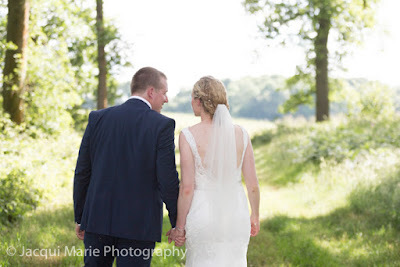 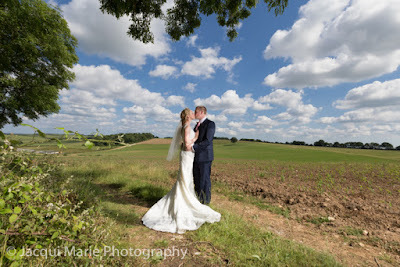 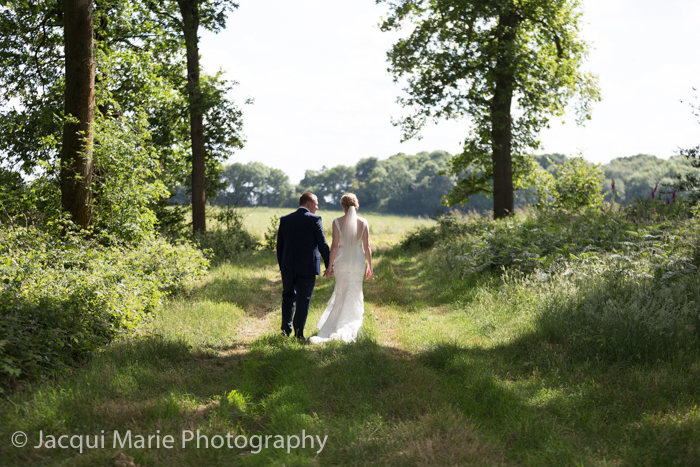 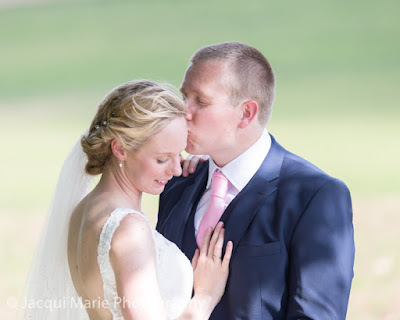 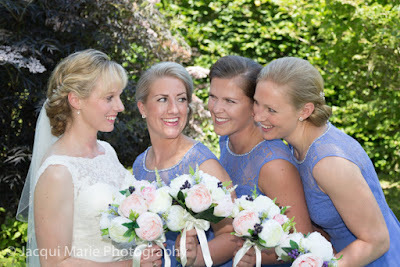 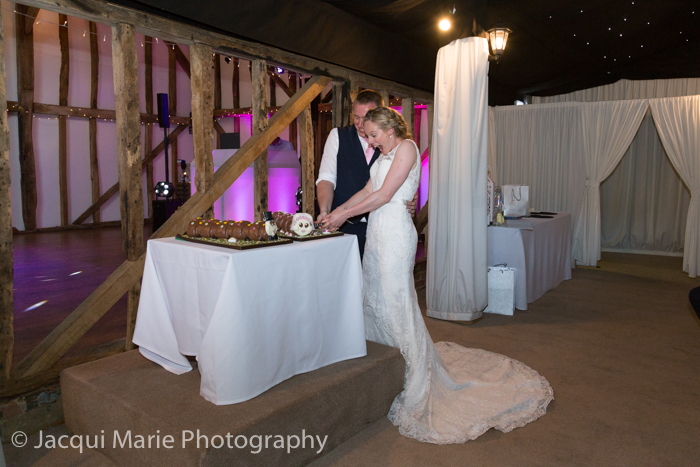 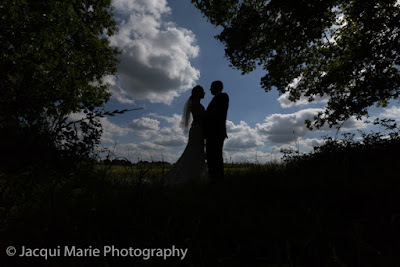 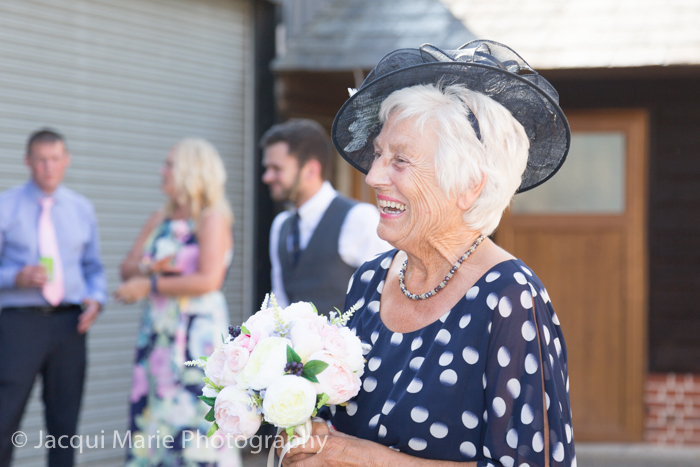 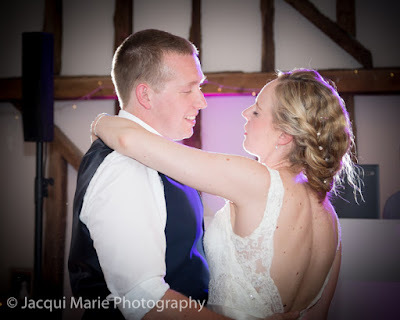 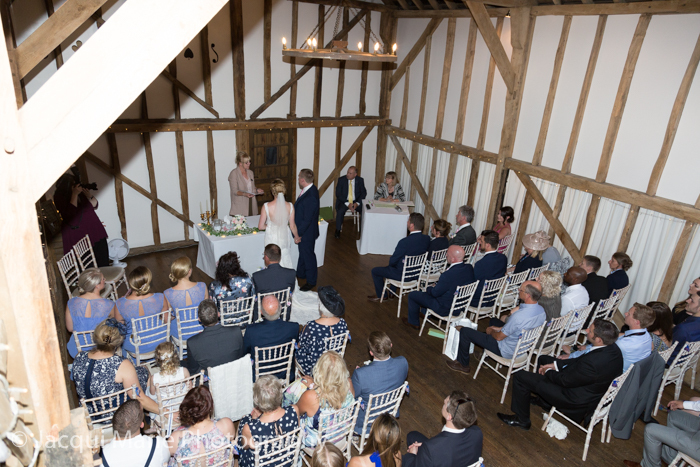 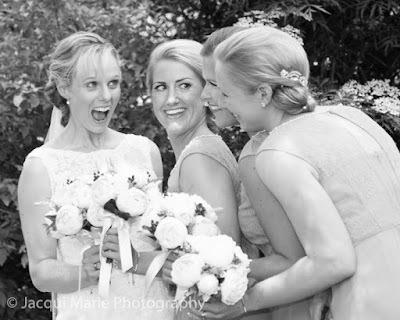 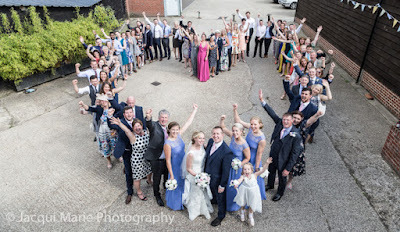 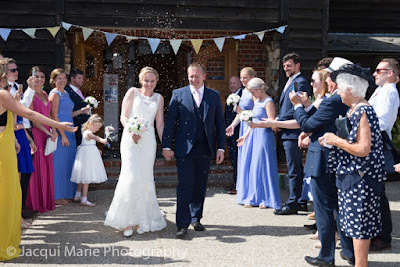 Olly and Hannah had their wedding at Pitt Hall Barn. 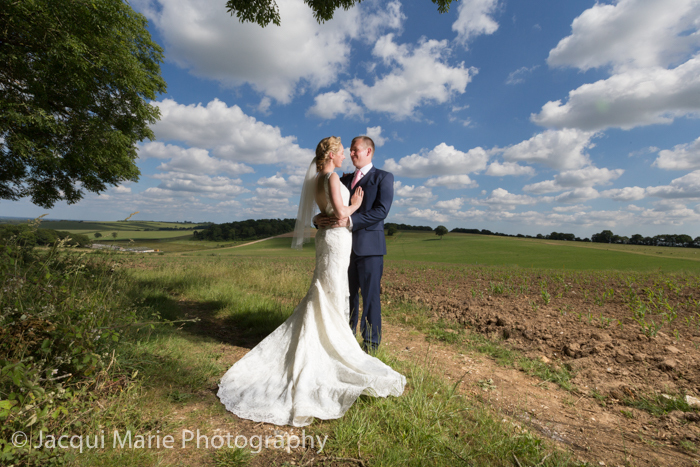 It was a scorching hot day and the view from the hills over-looking the barn were just breathtaking. The day started with the girls getting ready in the little bungalow across the yard from the barn. 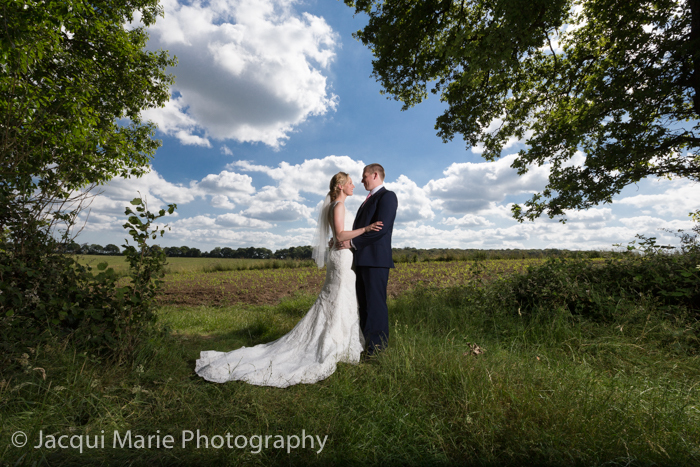 Then we popped into the little garden next to it for some photographs. There was no getting away from it, the girls were super excited. 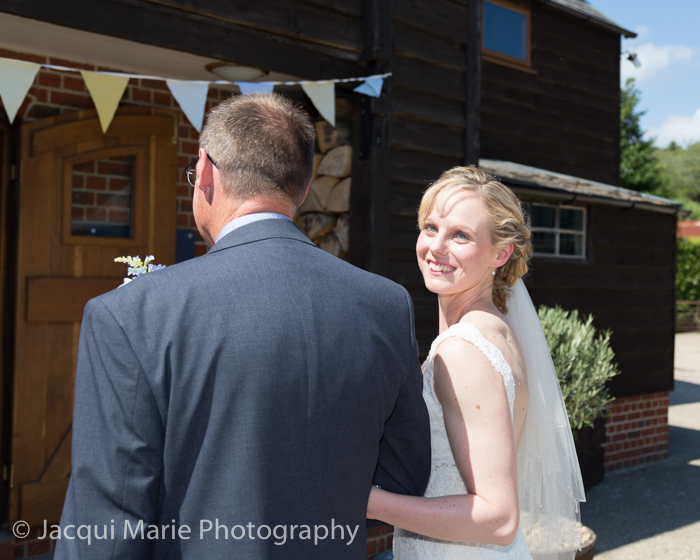 Hannah and her dad waited outside for the signal to walk down the aisle. There was time for a few moments together before going in. 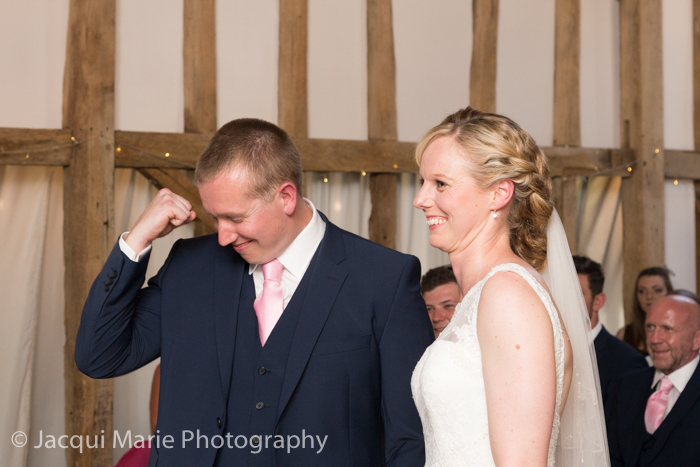 ...and Olly was clearly delighted when they were pronounced as man and wife. Then it was out into the hot sunshine for confetti and hugs and congratulations. ...which was refreshingly cool after the heat from the sun in the yard. The view was just stunning and we could not have asked for a nicer sky. Once back to the barn, we just about had enough room to squeeze in a heart-shaped "everybody" photograph in the yard. 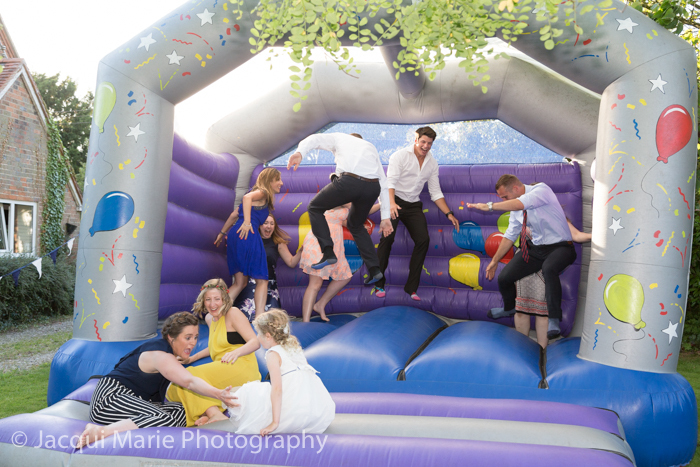 ...especially for those who decided to "do" the bouncy castle. 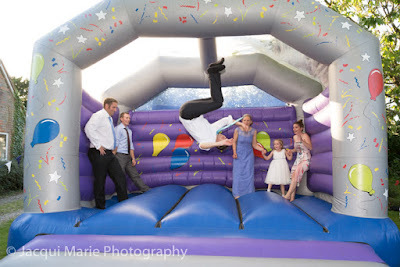 And there's always one who ends up up-side-down. 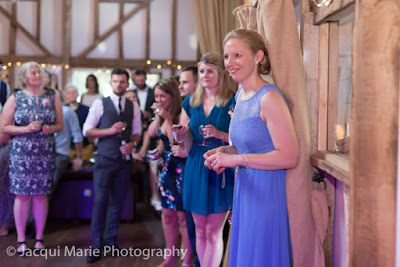 ...which was very much enjoyed by their guests. 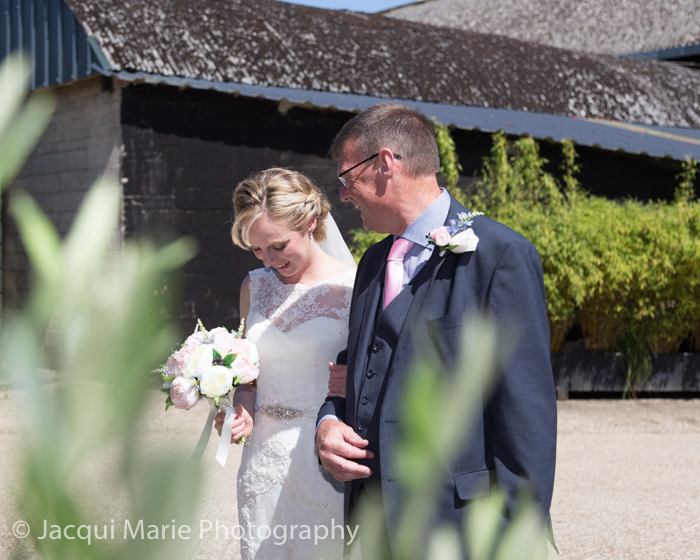 It was one of the hottest days of the year but there was plenty of shade in front of the barn and the garden provided wonderfully relaxing dappled sunlight for guests to sit under and have fun. 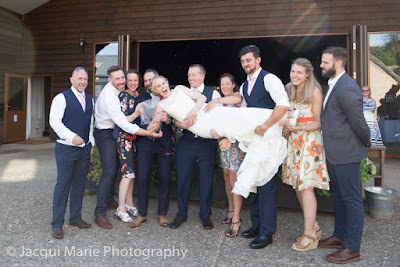 Olly and Hannah had an amazing time and had exactly the day they'd planned: fun, playful and relaxed with a tasteful blend of vintage and rustic.